We’ll solve your drainage problems without the need for disruptive digging! Ideal for tracing pollution problems or identifying the source of any drained water, our dye tracing service enables us to follow the route of any water, from source to the end, and assist in any necessary repairs. In situations where new properties have been constructed with the drainage connected wrongly, sewage and waste can end up running into surface water systems and cause serious pollution issues in reservoir and lake systems. Thanks to this specialist service, we are quickly able to trace back the sources of pollutants so that repairs to the commercial drainage system can be carried out. We provide our drainage dye tracing service to commercial clients across Medway, Kent and London, so if you are based in the South East, call our expert team today on 0800 781 8922 to arrange your FREE property survey and no obligation quotation. Our services work closely with many of our other drainage services. Not only can it help trace leaks in drain pipes for repair and locate drain blockages but it can also help reveal the source of pollutants entering the surface water system. Combined with CCTV survey work, drain repairs, sonar locating and relining, this specialist service helps us deal quickly with all kinds of drainage issues, without the disruption and cost of digging pipework up. With access to the latest equipment and a fully certified and experienced team of drainage engineers we provide a comprehensive solution for all kinds of commercial drain repairs, drain cleaning, pollution control and 24/7 emergency call outs. Based throughout the county, we work with clients throughout Maidstone, West Malling, Sheerness, Gravesend, Medway, Gillingham, Chatham, Rochester, Strood, Ashford, Canterbury, Sevenoaks, Tonbridge, Tunbridge Wells, Sittingbourne, Faversham, Ramsgate and Margate. 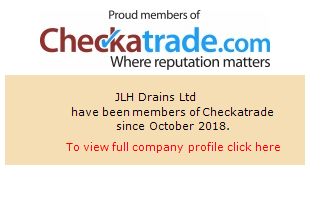 One of Kent's Best Drainage Firms! Based in Medway in Kent, we offer all Kent (and surrounding areas) residents and business the reliable drainage support they need to enable them to carry on with their business or even just have a relaxing soak in the bath.